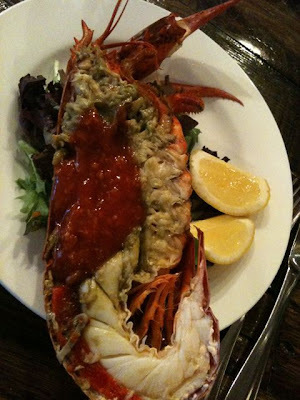 My friend Kate B. asked me if I knew of a place that served normal, fresh seafood that wasn't "insultingly expenesive". I know what she means. 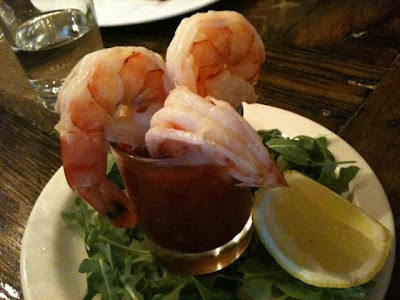 Every seafood place I know in NYC makes me angry. 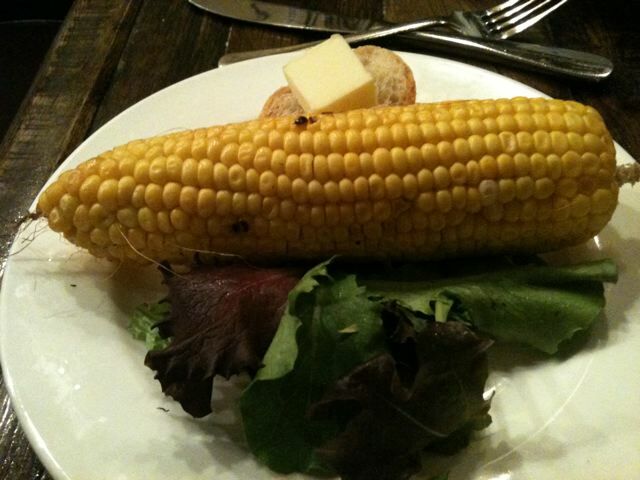 It's not good and it's expensive or they ruin it with a bunch of sauce. 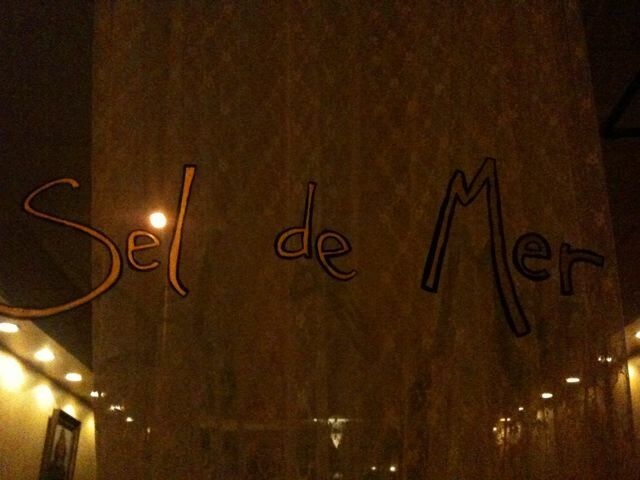 My favorite is in East Williamsburg, Sel de Mer. It's tiny. They have tons of specials and tonight they were out of clams which was disappointing but a good sign. Our whole meal including wine and dessert was $60 a piece, a great deal. 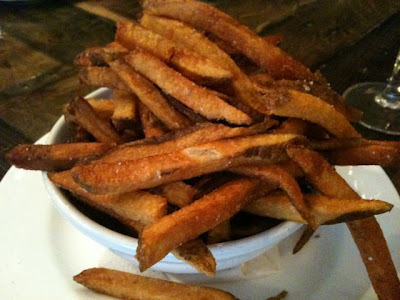 We started with some fries while they cooked and then chilled our shrimp cocktail and lobster. 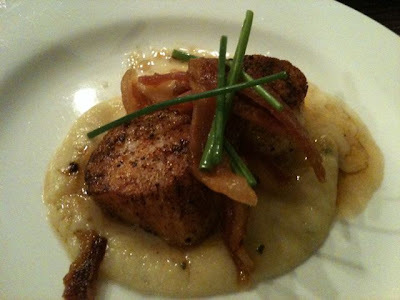 These scallops were on top of pureed pear with rosemary, which would make the best baby food ever. 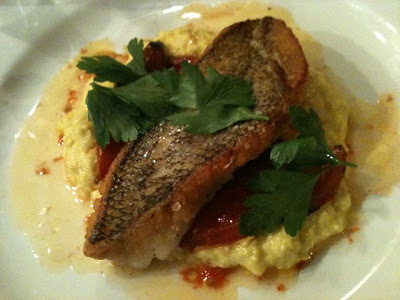 Sea Bass with corn pudding and roasted tomatoes.